Do you want your customers to have a possibility to pay for their on-line purchases via the innovative Coop Pank? 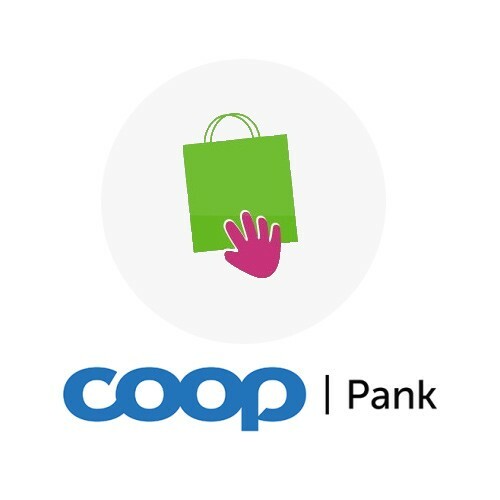 Coop Pank is the only universal bank based on our own Estonian capital that belongs to Consumer Cooperatives and their roughly 80,000 customer-owners (Maksimarket, Konsum, A&O, and Ehituskeskus). The new and innovative Coop Pank is here and does things quite differently. Bringing new life to rural banking. So that people in rural regions may manage their finances close to their home. Customers are served through Coop’s network of shops, in bank offices, and via the internet and mobile bank. Moreover, the debit card of Coop Pank doubles as a discount card (Säästu kaart) in Coop’s shops, making shopping really convenient and affordable for your customers. Another major advantage will be introduced in spring with Coop’s cash registers as well as the ATMs of all banks will have cash withdrawal capability without any extra charges. (Meaning that in future the debit card of Coop Pank can be used to withdraw cash in more than 1700 locations all over Estonia). Besides, in the future there will be a bank office or stand next to each Coop shop so that all everyday banking transactions will also be available to people who do not live in cities or towns. Coop Pank! – The favourite bank of Estonians in the making, for being so conveniently close to everyone. As you can see, there are lots of reasons why Coop Pank may become a favourite bank for many Estonians. It is the intent of Coop Pank to bring everyday banking services closer to people so that everyone’s life is good whichever part of Estonia they live in. If you want your customers to have a possibility to pay for their purchases via the innovative Coop Pank, which is certain to win the hearts of lots of people, then purchasing this module will give them an option of a convenient and easy payment for orders from your e-shop by simply selecting their favourite Coop Pank’s bank link. This assures the merchant and the customer that purchases have been paid. The payment module of Coop Pank, Magento, makes shopping more convenient for your customers and also offers flexible solutions for you! The customer can immediately start paying for their purchases after they have confirmed the order. After successful payment, the confirmation of their successful order will be e-mailed to the customer. There is no need to worry about the customer’s payment failing or the processing being accidentally interrupted by the customer. The contents of the shopping cart will still be available to the customer and they can retry confirming the transaction and, if they want, change the payment method. There is no need to start the whole process from scratch. The payment module functions even if the client does not click "Back to Merchant" button after successful payment. This module requires contractual relationships with Coop pank Estonia and hooray, forming a contract with the Coop bank link, is for free! (Make sure you are eligible to form Banklink contract with Coop pank Estonia before buying this module).